On a momentous day where the world said farewell to Aretha Franklin, the ultimate cultural icon, Sunderland AFC said farewell to this years edition of the League Cup, losing 0 v 2 to second division Sheffield Wednesday. For long periods of the game the home side enjoyed possession but unfortunately with no end result, whilst central defensive weaknesses were exposed by our opponents. Sunderland started the game brightly and in full control of the game, seemingly taking their opponents by surprise with a series of lovely passing moves. Presented with at least one gilt edged chance that we failed to take it was pretty much inevitable that we would be made to pay for our waste in front of goal and the visitors duly scored after half an hour at the North Stand. To be fair we only had ourselves to blame and the first point to make is that we looked pretty weak up front. Without a recognised target man we suffered all game and even the introduction of Maja did little to break Sheffield’s defensive formation. At half time we trailed 0 v 1, we’d played well but they scored on just about their only real chance of the 45. The second half turned out to be pretty much the same as the first, although defending the South Stand our central defensive lapses became obvious. Baldwin looks like a defensive midfielder to me rather than an out and out central defender, as his distribution and play on the turf looked good but his weakness in the air against decent strikers was glaringly obvious. Ryehill Football made comment on Ozturk after the Charlton game and we have not as yet revised our opinion on him. He looks poor and very slow. Maja came on in the second half but as we also said after the Charlton game he is not a target man and should not be played as a lone striker. I’m not sure what formation Jack Ross would say we played but if he was to say 2 up front then it didnt look like it to me. As if to justify our comments on the centre of our defence Reach, a local Chester le Street lad, rose majestically to head the ball home with our pairing wondering what had hit them. In truth anything we get out of this years League Cup and FA Cup is a bonus and lets not forget that this Sunderland team is built for the third division, not the second division. Sheffield Wednesday were all in all too powerful for Sunderland and they deservedly won 2 v 0. Sunderland’s preoccupation this year surely has to be promotion and a good assault on the Checkatrade Trophy where we have a glorious opportunity to get to a Wembley final and win a trophy. Its hard to get too upset over this defeat as we have to look at the bigger picture but we must contemplate that we are finding goals hard to come by and we have yet to keep a clean sheet so there is still plenty to do. We need our injured players back as soon as possible, particularly the injured strikers. I must make mention of the Sheffield Wednesday fans who turned up in numbers and made themselves heard. Midweek? League Cup? On the telly? We’d pat ourselves on the back with such a turnout so lets reciprocate. 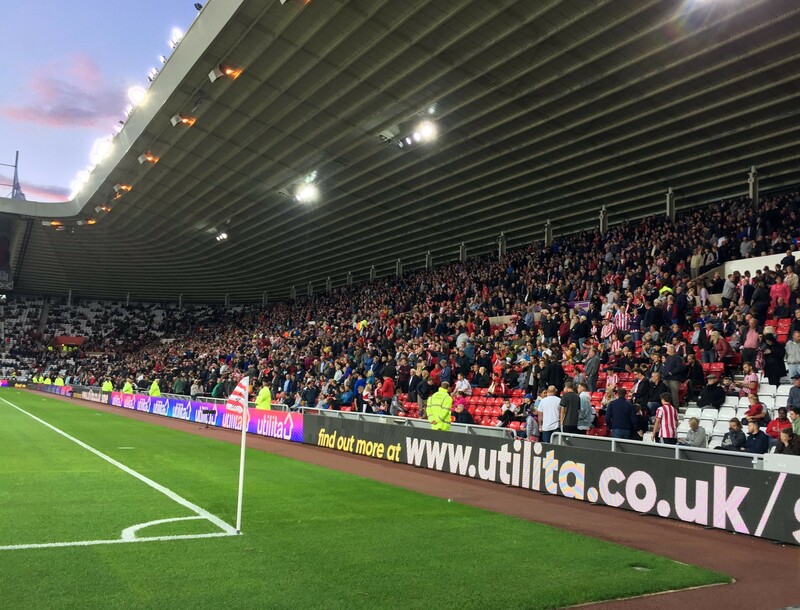 For Sunderland AFC the show moves on to Scunthorpe United at home on Sunday, but to leave where we started this article, for the icon that is Aretha Franklin; that show moves on to a higher field. For us the Jack Ross show has just begun but on this momentous day for the United States of America one glorious show has come to an end. I shall leave you with the track voted the best ever by NME and it needs no introduction. Farewell Aretha, missed already – see you on Sunday Sunderland AFC.